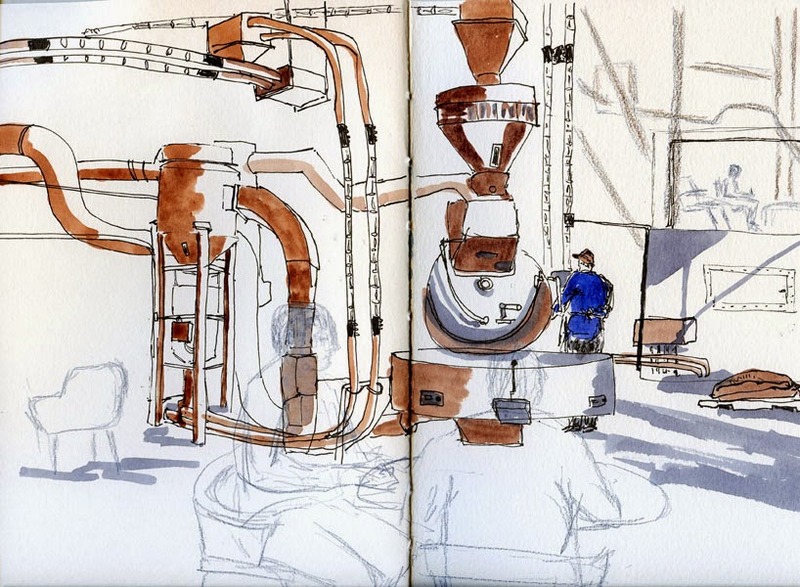 When Greg and I visited the Starbucks Reserve Roastery before the holidays, I resisted sketching because I knew the Friday ad hoc sketchers were planning a sketch outing there. This morning I got so excited about finally sketching there that I bit off a composition that was way more than I could chew. I thought I knew what I wanted to focus on, but somehow all that copper piping and transparent “pneumatic transfer tubing” kept leading me astray. It was fun but exhausting to follow all those pipes around the facility! After the sketch outing, a few of us walked across the street for lunch at 6 Arms. 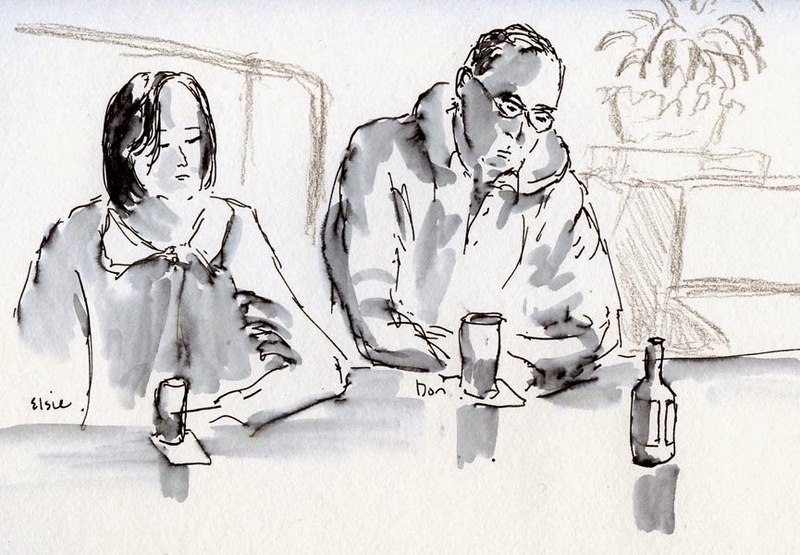 While I waited for my food to come, I sketched Elsie and Don (they weren’t really as glum as I made them look! ).